The first 8-page installment of Ruth the Betrayer; or, the Female Spy appeared on London newsstands on February 8, 1862, price one penny. The entire text, along with the complete wood-engraved parts illustrations by W.H. Thwaites, have been carefully edited by Dagni A. Bredeson, a professor of English at Eastern Illinois University and brought back to life by Valancourt Books in a handsome affordable reprint. The author was “Edward Ellis,” and Dagni Bredeson writes that “it has been argued” that Charles Henry Ross was the author. I should point out that it was myself doing the arguing (I was a consultant on the book) and Dagni is cautious about making the claim (and quite rightly so) since there is no absolute proof. When The Felon’s Daughter was published in penny parts by John Dicks the title-page of the bound volume stated that it was “by the author of “Daughter of Midnight.” Thus “Edward Ellis,” was also “G. W. Armitage,” and “George Savage.” Based on my notes and reading of Charley, Ruth and Fanny, and comparing those with over 20 texts written under the name C. H. Ross I reached the conclusion that all three were were pseudonyms used by Charles Henry Ross (creator of the celebrated Ally Sloper) and his collaborator Henry Warren. 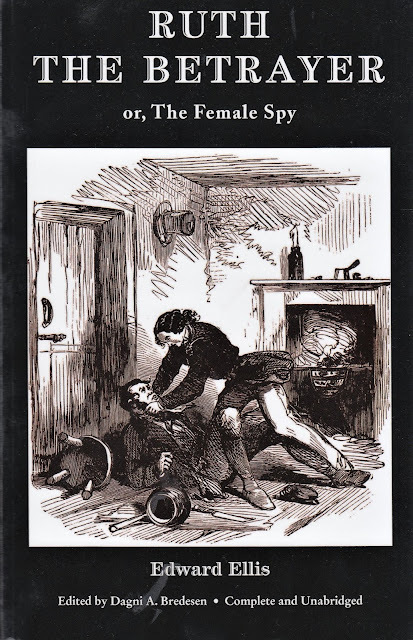 The title of Ruth the Betrayer; or, The Female Spy, was surely intended to invoke James Malcolm Rymer’s 1843 penny blood title Ada the Betrayed; or, The Murder at the Old Smithy. It was also a parody of the homicidal heroines made famous by Sensation novelists like Mary Braddon in books like Lady Audley’s Secret. 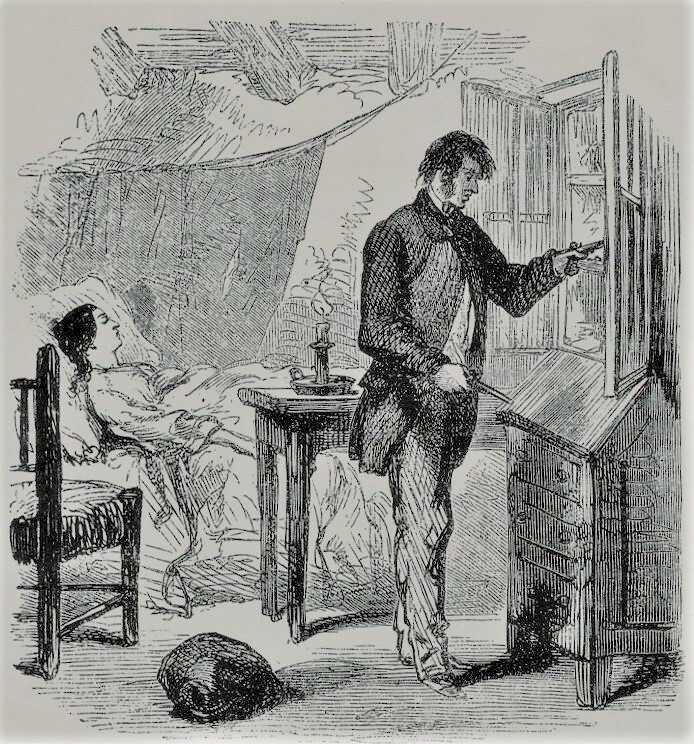 A writer in The Saturday Review in 1866 referred to these as “crime and crinoline” romances. “Edward Ellis” was able to combine humor and horror in a manner that makes the serial adventures of Ruth Trail, Death’s Head, Jack Rafferty, Eneas Earthworm, Alice Tevellyan, Charley Crockford and the Cadbury Kid a thrilling and amusing book to curl up with when the winter wind is howling at the outer door. Ruth the Betrayer is a fantastic addition to any Victorian bookshelf.